Although the Truth appreciates positive comments about nurses, we believe that the image of the "angel" or "saint" is generally unhelpful. It fails to convey the college-level knowledge base, critical thinking skills, and hard work required to be a nurse. 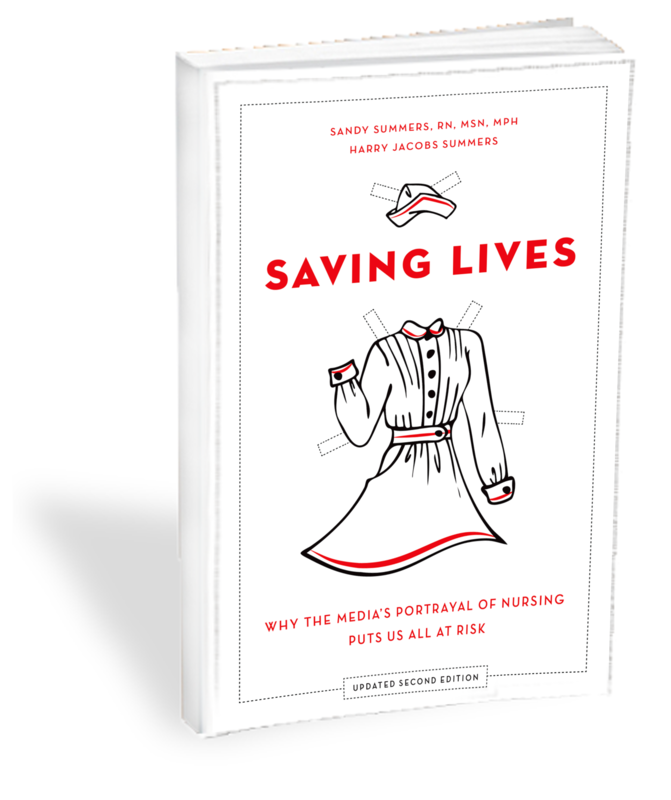 And it may suggest that nurses are supernatural beings who do not require decent working conditions, adequate staffing, or a significant role in health care decision-making or policy. If nurses are angels, then perhaps they can care for an unlimited number of patients and still deliver top-quality care. To the extent nurses do seem to suffer in such working conditions, it may be viewed as merely evidence of their angelic virtue, not a reason to alter the conditions. In the popular imagination, angels are often distinguished by their spiritual purity or their gentle nature, but this is not enough for nursing or any other serious profession. Indeed, patient advocacy may require that nurses firmly challenge an established system or proposed course of action. Florence Nightingale, the founder of modern nursing, was no "angel." But she was a very bright, aggressive, flawed human being who--like other nursing leaders since--made lasting scientific and social contributions to the world. Thus, to suggest that nurses are angels, even with the best intentions, may actually serve to diminish their real worth. In everyday conversation, it is more common for women to be described as angels, and this may discourage men from entering nursing, which is especially harmful in view of the critical nursing shortage. For a nurse to be thought of as an "angel" may also suggest private moral or sexual standards which are inappropriate in the modern work place. In this sense, the "angelic" nurse stereotype is the perfect complement to the "naughty nurse" stereotype and the repressed, Nurse Ratched stereotype. All of these arguably define nurses by dubious male visions of female sexual extremes, rather than by the nurses' professional skills or effort. Some feel that putting female nurses in these stereotypical boxes is a way for vulnerable male patients to reassert their traditional power over the females who now appear to control their lives in the hospital. The Truth strives to help others see nursing as a three-dimensional modern profession. Though nursing often requires moral and spiritual courage, it is composed not of "angels," but of skilled, hard-working real men and women. A Viewpoint by Margaret Belcher, RN, BSN, "I'm No Angel: I am a nurse--and that's enough," in the July 2004 American Journal of Nursing.